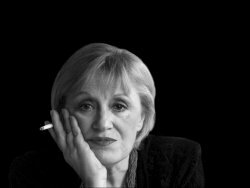 Marina Šur Puhlovski was born in Zagreb where she attended high school and graduated with a degree in comparative literature and philosophy from the Faculty of Humanities and Social Sciences. She worked a journalist and a literary critic, before turning to writing exclusively prose. She has written stories, novels, travelogues, essays and literary diaries, and has been the recipient of several national awards for literature. This is Puhlovski’s first work to be published in English.